Growing up in Melbourne you learn to appreciate a good coffee from a dangerously young age. You believe that this is standard in all cities, well until you travel. You have that first coffee that costs $8 from a cafe using an automatic machine. This experience will most likely bring a tear to your eye. However, after all our travels of Europe, Dublin brings the caffeine goods to the table. There is a group of people dedicating themselves to providing amazing coffee to the people and I’m impressed. Here are my favourite coffee shops in the Irish capital, Dublin. Hidden away in a beautiful garden off Camden Street, is The Cake Café, a little shop long-loved by locals and now tourists too ever since the late, great Anthony Bourdain recommended it as a spot any cake lover should visit. From the locals’ favourite lemon slice, to scrumptious chocolate cakes, there are plenty of mouth-watering options to choose from. I love to catch up with friends here as the atmosphere is relaxed and intimate. My favourite is the deliciously soft Victoria sponge cake. Opened in 2016, Urbanity is both a brew shop and a micro-roaster. 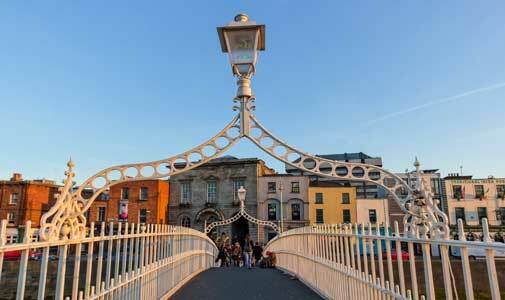 It’s also known as one of the best spots in Dublin for brunch. Everything in the shop is made in-house, from the pastries to the almond butter, even the granola. All their ingredients are both local and organic. The menu is also seasonal and they offer different specials every week. Their beans come from Brazil and Ethiopia and if you want to, you can buy a bag. I usually grab one that has been freshly grounded. Try their single origin filter coffee and fill your belly with the organic scrambled eggs served with buttered greens and toasted sourdough bread ($12). If you enjoy that slick coffee shop aesthetic, Bear Market is where you need to head. Created by two former architects, Ruth and Stephen Deasy, this place has a sleek design with a mixture between steel features, rustic wood and the colour play on black and white. Starting up in Blackrock in 2014, this tiny shop won the heart of Dubliners with a simple approach, dedication to their blends…and theirs is top notch. This served as a formula for success and they now have two other locations, including one in Pembroke Street and another in The Docklands. 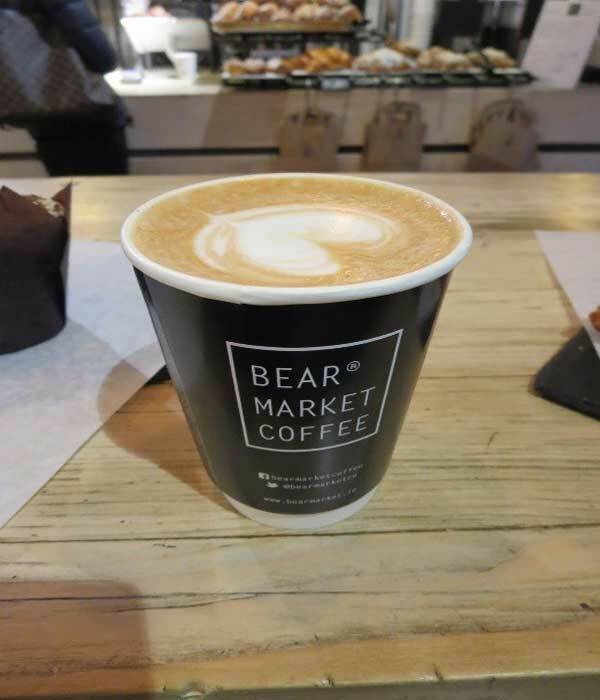 At Bear Market, a flow chart designed on a blackboard lets you know if what you want is a cortado, a flat white or even a caramel macchiato, as it shows you how all their coffees are connected. They serve a house blend with beans from Brazil, Guatemala, Honduras, Ethiopia and India. We recommend the cortado with the house blend with one of the homemade coconut and chocolate turnovers. Another local micro-roaster, 9th Degree was created by James McCormack in 2016. Their beans come from Burundi, Brazil, Nicaragua and Ethiopia and then they are hand roasted in their facilities on the city centre. 9th Degree has a unique design, black walls and red chandeliers that give a gothic vibe. It is the perfect spot to get away from the chaos of busy Westmoreland Street. I recommend the creamy latte or ask about their seasonal filters, their baristas are always willing to guide you. 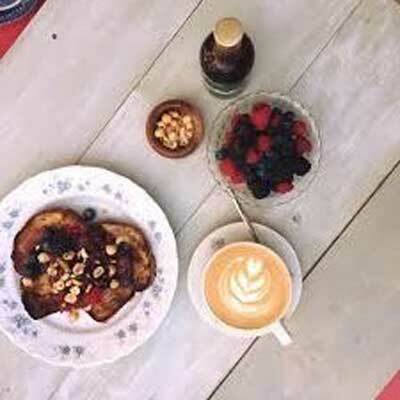 In the streets of beautiful village of Ranelagh, you’ll find Nick’s Coffee Company. This tiny shop created by Nick Seymour has become a part of the community and a big draw for coffee lovers. The feeling at Nick’s is laidback and the kitsch decor invites you into communal tables. I usually head down on Sundays when they have live performances from all sorts of artists, from poets to musicians and even spoken word sessions. Their coffee is Sr Seymour, a special blend with Ethiopian, Indian, Brazilian and Guatemalan beans. We find that offers a special acidity and a sublime smell. The great thing about Nick’s is their passion for coffee…and it shows. Their flat white tastes as if it could be served in a coffee shop in Sydney, San Francisco or New York. For a classic treat, try the cappuccino and homemade white chocolate and rose muffin.